The beautiful Stamford Cot Top Changer from Obaby carefully considers space and design to create the perfect addition to your child’s cot or cot bed and its beautiful scroll design co-ordinates perfectly with the rest of the Stamford range (sold separately). 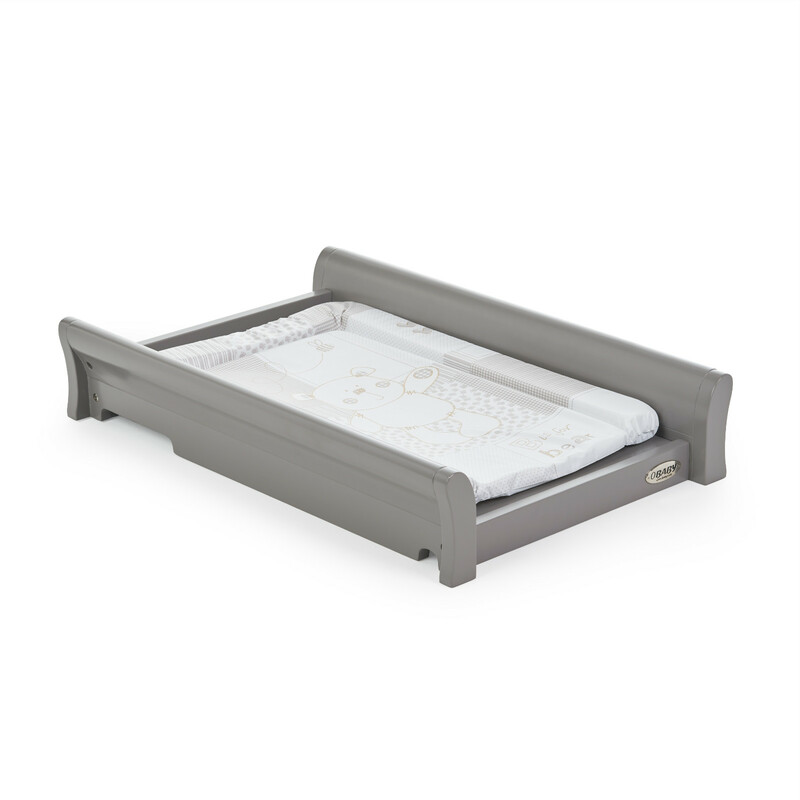 Thoughtfully set at a comfortable height for parents, the cot top changer is compatible with most cots and cot beds and is fitted by using a simple and secure Velcro strap. The space used is cleverly modelled to facilitate the use of a baby changing mat, while smooth surfaces have been utilised throughout to ensure the unit is a breeze to wipe clean. 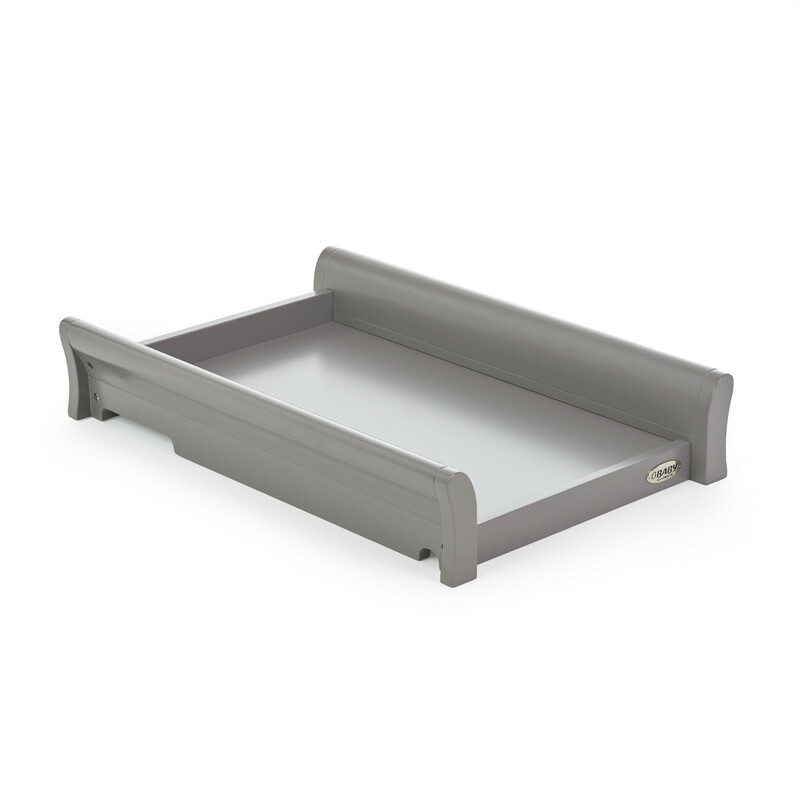 The two scroll design side rails not only ensure your baby is protected from rolling off, but provide a convenient way to lift the changer to wherever you may need it next.